So a big ‘thank you’ to my man for bringing sweet treats into my life that I would never make on my own. 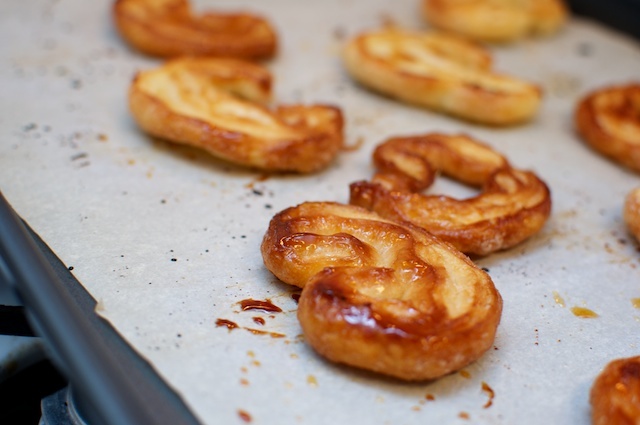 The recipe comes from Baking by James Peterson, the baking tome featuring pictures of perfect palmiers . . . completely symmetrical and HUGE. 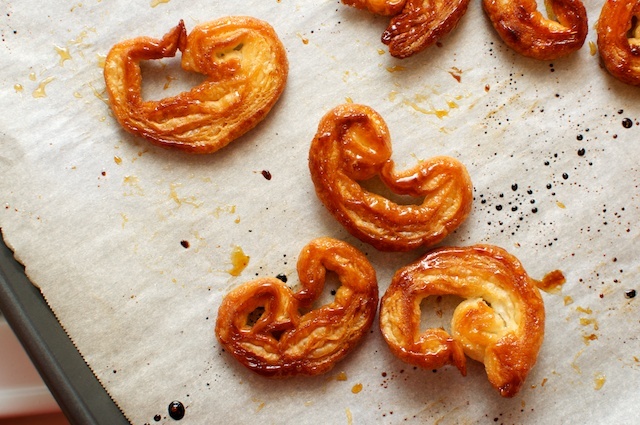 Our Palmiers were tiny, twisted and lovable. Don’t worry about getting them too perfect. Their dimensions don’t affect their taste. First up . 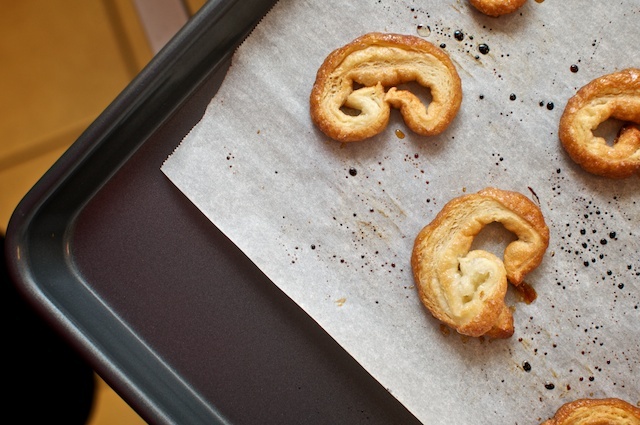 . . make a classic puff pastry dough. Apparently this is just 2 cups flour, 1/2 cup water, 3 tbsp. oil, 1 tsp. salt and 1 cup butter (mmm butter!) Mix together everything but the butter with a mixer and then kneed with hands until it is a smooth, homogenous mass. 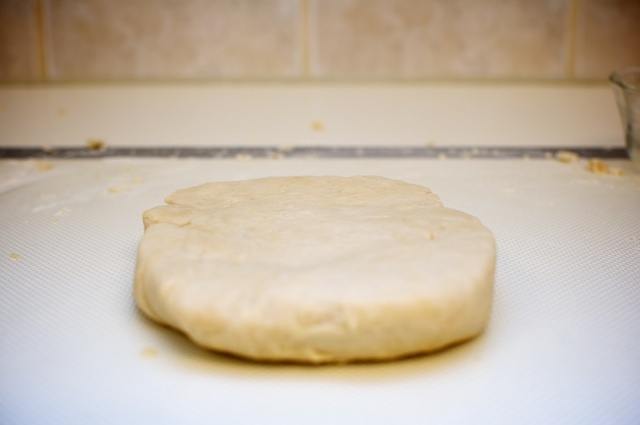 Form a square-ish disk, and wrap with plastic wrap and refrigerate overnight. Then mix the butter in a mixer with a paddle attachment. 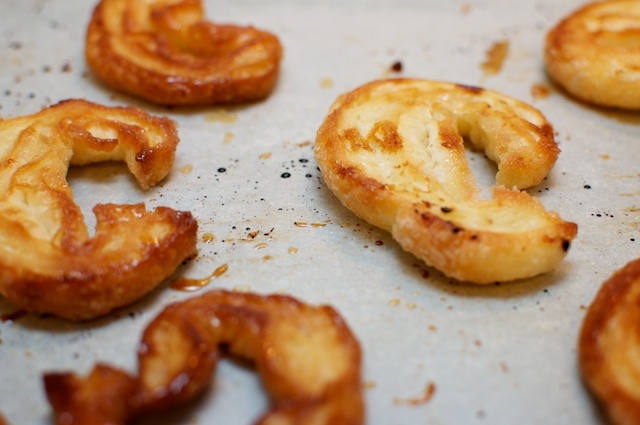 Refrigerate for about 15 minutes. Then wrap the butter in plastic wrap to shape it into a flat square. 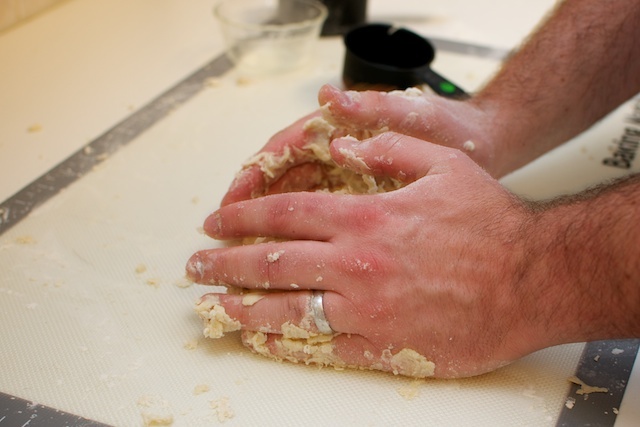 Flour your surface, then roll out your dough in a plus-sign shape. You want to form four flaps that you can hug around the butter. Place the butter in the center and wrap the butter with the dough flaps. 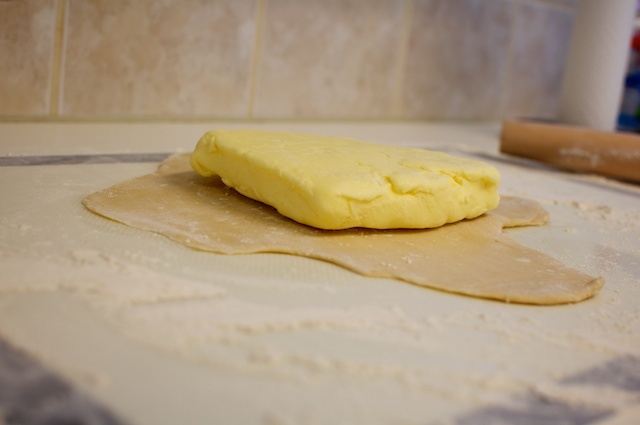 The butter should be completely covered by a neat envelope of dough. 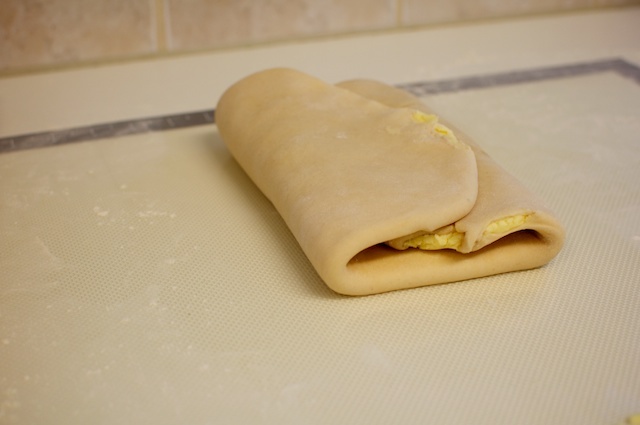 Roll the butter/dough mixture into a long rectangle, making sure that the butter reaches all edges. Then fold into thirds. Roll out and fold in thirds a second time, then wrap and refrigerate for 1 hour. 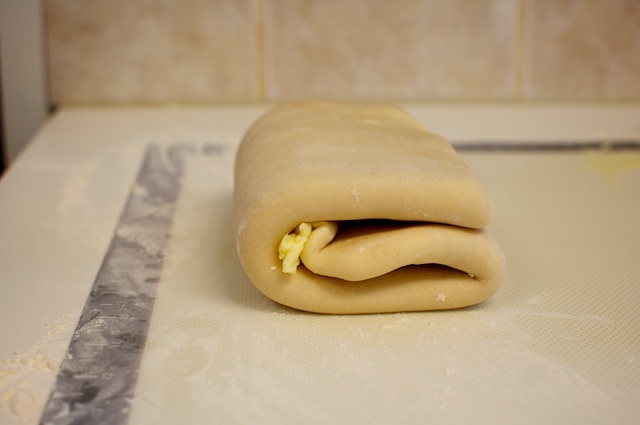 Repeat this process (roll, fold, wrap, refrigerate) until the dough has been folded a total of 7 times. If you had the patience to make it to this point, congratulate yourself . . . and keep going. 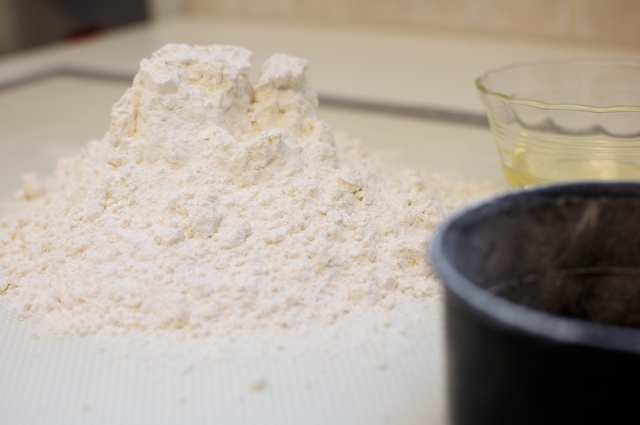 Instead of flour on your work surface, sprinkle granulated sugar. 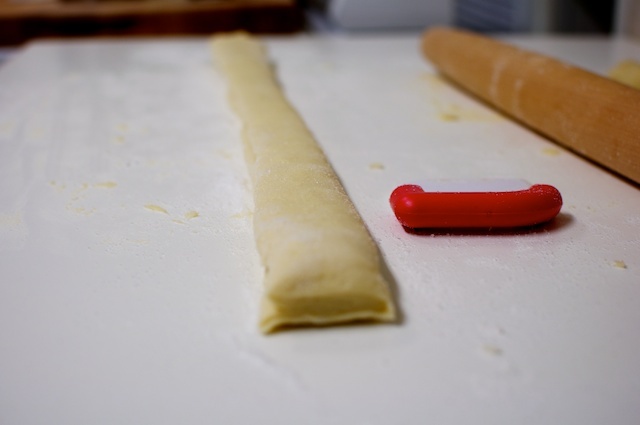 Roll your dough out into a 9x14 inch rectangle. Then roll the outside edges toward the middle, one inch at a time. 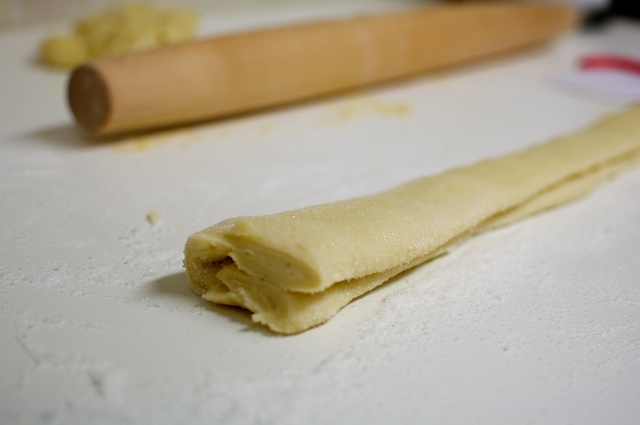 Roll out the two flaps, then fold one over the other (as shown below.) Gently press out this precious log of butter and labor, and chill for at least 30 minutes. Once chilled, slice into 1/4 inch cookies. Arrange on a sheet pan with parchment paper about 2 inches apart. Bake at 400 degrees for about 25 minutes.